Two programs on one disc! 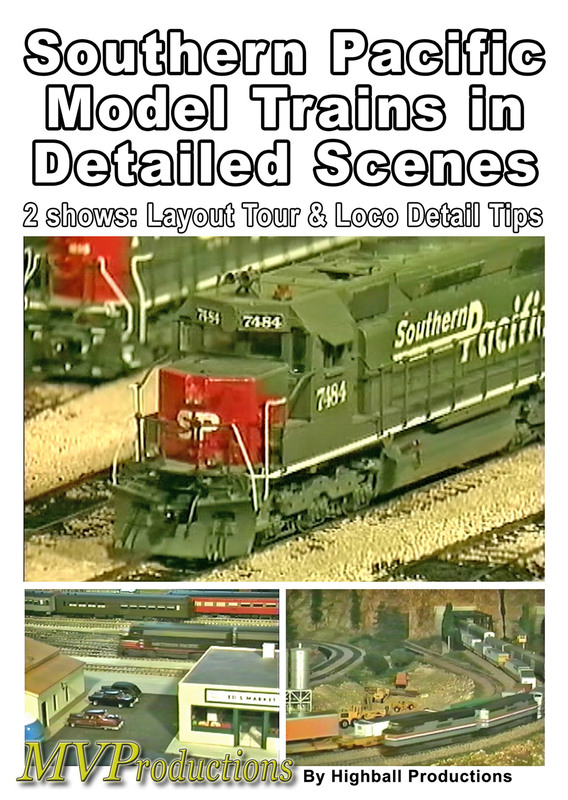 Both feature the layout and modeling of Bob Calvert. Bob and family model the Midwest and primarily the Southern Pacific, though we'll see lots of '"foreign'" power. 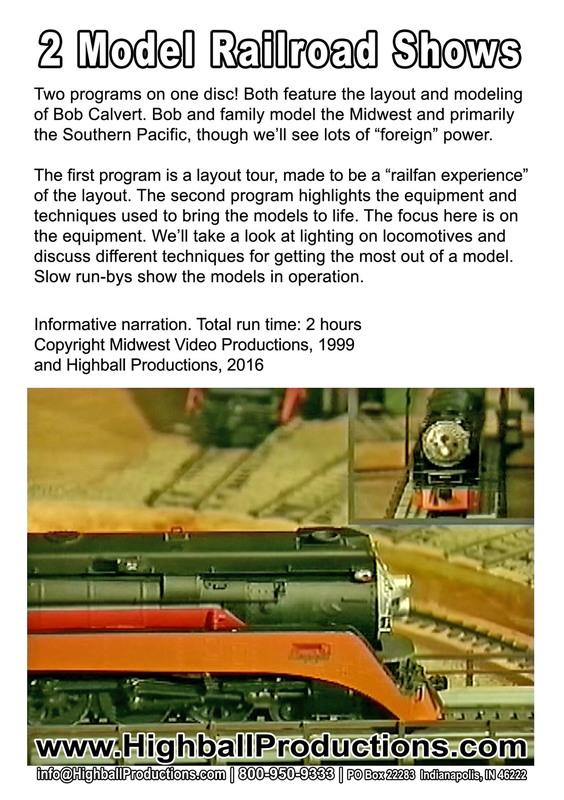 The first program is a layout tour, made to be a '"railfan experience'" of the layout. The second program highlights the equipment and techniques used to bring the models to life. The focus here is on the equipment. We'll take a look at lighting on locomotives and discuss different techniques for getting the most out of a model. Slow run-bys show the models in operation. Wayne Batty (Wellington) on 2017-11-08 13:10:12. I recently purchased this DVD, as I have a passion for the SP. I did not like it at all The videoing was not very professional, some scenes were not in focus others were very dark. trains were not run at prototypical speeds.